The Plumpton Park Zoo desired to re-invent themselves. The Giraffe House was seen as the first major act in modifying their image and attracting a new generation of patrons. Not only was this space to be a sanctuary for their giraffes, it was created to be an educational experience for all visitors, while also being an enjoyable, interactive experience with the majestic giraffe. 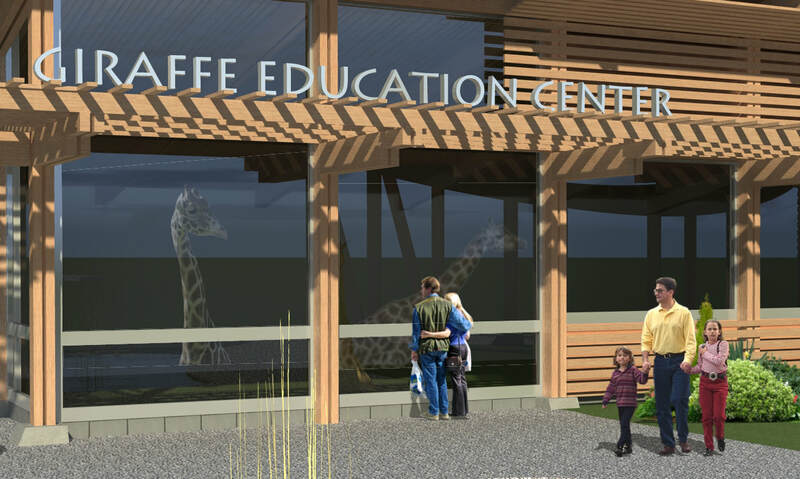 To implement this goal, the building is composed of a lobby/education center, conference/meeting room with a direct view of the giraffe area, and of course, the giraffe area itself, which contains catwalks for invited visitors to participate in animal enrichment activities. ​CIVIL ENGINEER: KCI Technologies, Inc.